Steeped in tradition the BMW 6 Series continues to be the benchmark by which all touring class cars are compared against. Having first arrived in 2003 the 6 Series received its latest facelift in 2015. Seen as one of the flagship BMW range the 6 Series combines a timeless elegance with performance to match and even surpass many of its rivals in the same class. Thanks to the 4+1 seating upto 5 people can enjoy the award winning TwinPower Turbo engine and BMW’s renowned EfficiencyDynamics system. Select from the Coupe, Convertible or Gran Coupe Version. Each model packed full with the same industry leading technology to make the drive an experience. 8 Cylinder engines ensure the 6 Series always provides when you need it in terms of power in both the diesel and petrol version. Do not let the roomy interior fool you, the performance matches any sporty version. There are one diesel and 3 petrol versions in this range, with the diesel version returning 52.3mgp yet still able to reach top speeds of 155mph and takes just 5.3 seconds to go from 0-62mph. If your driven by performance, then the new M6 will provide. Capable of 0-62mph in just 4.2 seconds. 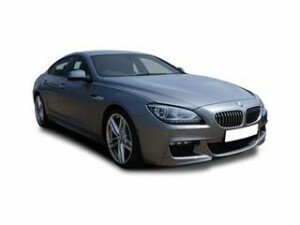 The BMW 6 Series out performs many of its rivals in the practicality, comfort and boot space department. Even the 2 door coupe version offers plenty of leg room in the back. The 4 door Gran Coupe offers even more practicality with all models offering a spacious 460 litre boot. 6 Series. Our quote system lets you select from every option including interior and exterior options. We then display the final cost including savings, simply click go ahead and we will contact you to discuss your quote, you’re under no obligation at anytime and our service is free.